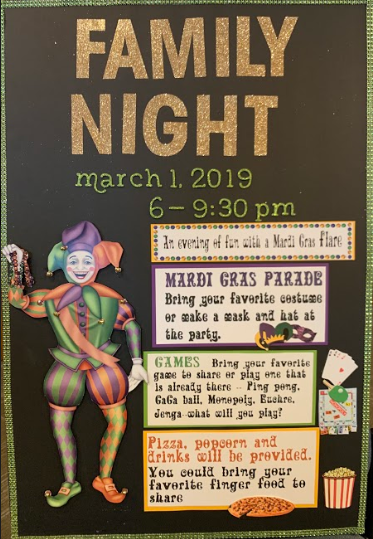 An evening of fun with a Mardi Gras flair. There will be a fun Mardi Gras Parade, so bring a costume or make a fun mask and hat at the event. Bring your favorite game to share, or play one that is already there. Ping-pong, Ga-Ga ball, Monopoly, Jenga, euchre. Pizza, popcorn, and drinks are provided. Please bring a favorite ginger food to share.